It is a famous line from Inferno, the first part of Dante’s epic poem Divine Comedy, and it is written on the gate of Hell, where Virgil awaits Dante to guide him through the nine circles of Hell: Limbo, Lust, Gluttony, Greed, Anger, Heresy, Violence, Fraud and Treachery). Now back to my normal blogging….! 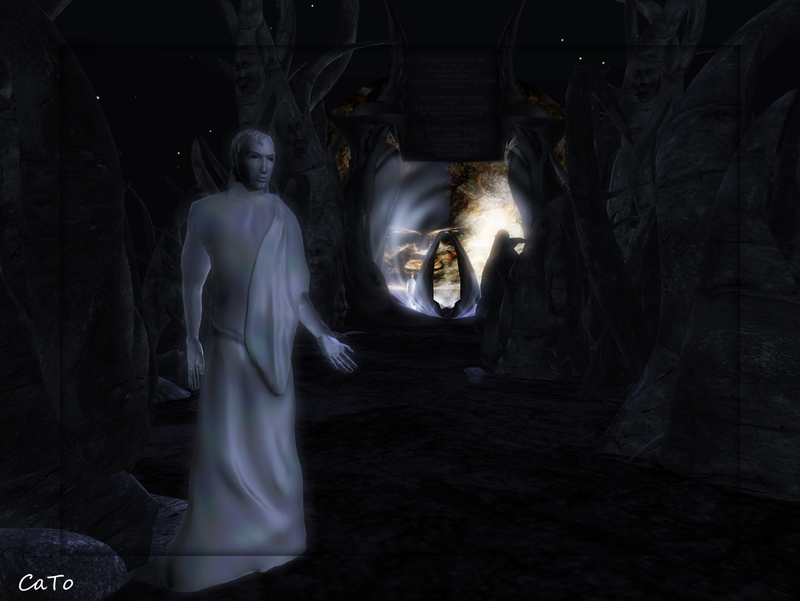 Last night and this morning I spent some time exploring the nine circles of Dante’s Inferno in Second Life. Artist Rebeca Bashly has created a true masterpiece in visualising and building this poem. It is an amazing experience and you really need to take some time to see it all! It follows the poem pretty accurate, Virgil awaits you at the gate…and since this is SL, he is also a convenient teleporter to guide you through the circles! I could have taken 100’s of photo’s but will show only a few in here, as they do not do the artwork justice. It’s really worth a visit – set your viewer to midnight – , it will be up till end of October!